U.S. District Judge Catherine C. Blake has ruled that the duplication of programs at historically Black institutions (HBIs) in traditionally Euro institutions (TWIs) handicaps the former. The lead paragraph in the Washington Post (9 October 2013): “Maryland’s four historically black universities are likely to gain more distinctive programs to compete for students following a federal ruling that the state has allowed too much academic overlap among its public universities, tilting the market in favor of traditionally white institutions.” One example cited is a master’s degree program in computer science at Bowie State that lost enrollment when Towson began its computer science program. Does the judge think that Towson should not have a computer science program? At this point in history? Maybe it shouldn’t have a Department of English? What if a program in institution A is not the best and/or not conveniently located? Should institution B should not have a similar program? Surely there are many students in Baltimore and its suburbs who don’t want to travel to Bowie. Clearly, programs at all campuses should be strengthened, but some criticism of duplication seems like it comes from a person who is not familiar with the academic world and its changes. Clearly, the Blake decision is very significant for the State of Maryland; The Faculty Voice hopes to provide more coverage in its next issue. The Maryland System records indicate that only 15% of first year freshmen graduate Coppin within six years—and that probably means few others ever graduate. Of course, they may have the significant handicap of paying off student loans. But Hamilton Project research indicates that some college is better than none. The Maryland Board of Regents sponsored a report on Coppin [CSU] that was issued on 15 May 2013; the chair of the review committee was UMBC’s Freeman Hrabowski. The report’s title, “Soaring Like an Eagle,” is an expression of hope rather than a current reality. Below are a few items that were of concern to the committee; we mention them because they can be concerns on any campus. ♦On average, the CSU teaching load is the highest among USM comprehensive universities while CSU faculty on average generate the lowest number of student credit hours annually. This is due, in part, to the large number of academic programs offered to a small number of students. In this climate, we will all have to be concerned with “productivity” of individuals, courses, and programs. ♦While Coppin has an impressive technology infrastructure, the campus does not take full advantage of it in the administrative and academic areas. Alas, the transition to high tech is slow in academe, health, government, and elsewhere. Old comforts are being challenged. ♦While Coppin has a designated structure to facilitate shared governance, there is a lack of appropriate collaboration and communication. Words and deeds. One recommendation is certainly an issue on many campuses: “Restructure CSU’s academic programs to focus on those of highest priority for CSU based on student enrollment, market demand, career opportunities for graduates, and academic ranking. This restructuring must include such options as merger, consolidation, or discontinuation of programs.” This indicates a vocational emphasis, which leads one to wonder about the humanities—and the future of the traditional university. But Frostburg is not perfect, if this report is correct: “Frostburg State University paid for construction of a $2 million Sustainable Energy Research Facility without documenting the reason for its site-selection decision, without obtaining required approvals from the Board of Public Works or the university system, and without requiring the developer to competitively bid construction, according to an audit released [on 28 August].” Well, Frostburg is close to perfect. But let’s be positive: Morgan has launched a new academic unit, Global Journalism & Communications. 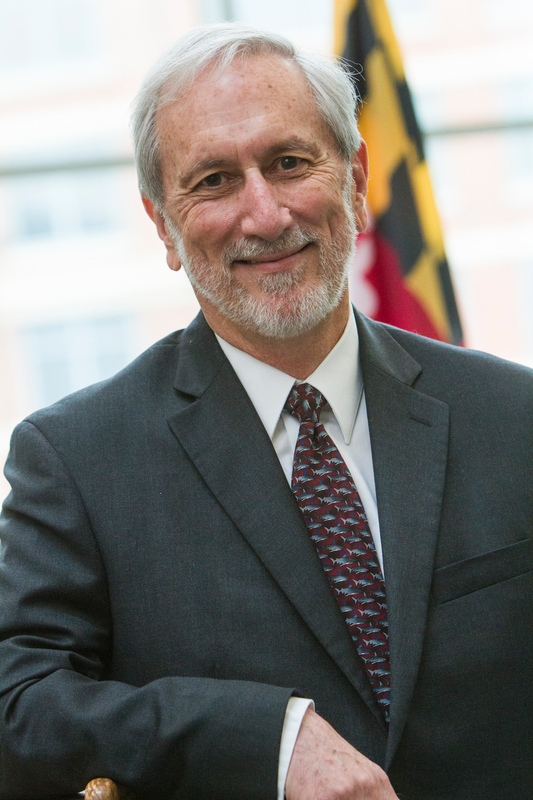 The Dean: “We’ve merged learning with practice by offering students a seamless transition from the classroom to the real-life world of journalism and mass communication.” It does seem that the classroom/real life approach is spreading in Maryland and elsewhere. Gets Big Gift: One of the Eastern Shore’s leading philanthropies, the Guerrieri Family Foundation, has announced an $8 million gift for the construction of a new Academic Commons, including a state-of-the-art library, at Salisbury University. The gift is made in memory of Patricia R. Guerrieri, an SU alumna for whom the new complex will be named. At 234,000 square feet, the $115.8 million facility is the largest construction project ever undertaken at SU. (From a SU press release.) Congratulations to the SU community! Fills a Gap: From June 16-21, more than 120 high school seniors throughout the state converged on Salisbury University for a hands-on look at what makes government run during the 67th session of Maryland Girls State. Sponsored by the American Legion Auxiliary Department of Maryland, Maryland Girls State is a non-partisan event that has been held at SU since 2009. Participants are assigned to represent fictitious cities and counties, learning how local and state governments work, from elections to the passage of legislation. Students also hold a mock trial, learning about the judicial process. Too many young men and women know little about government and politics, so this event and others like it fill a worrisome gap. Once again, the Baltimore County campus has made the Honor Roll for “Great Colleges to Work For” in the Chronicle of Higher Education compilation. And Howard Community College made the list for 2-year institutions. Congratulations! Send in your work applications. Maryland’s Eastern Shore campus will soon acquire two 2-megawatt wind turbines with power to fuel several hundred homes and also provide equipment for faculty and student research. This specialist in instructional technologies has been named Director of the USM Center for Innovation and Excellence in Learning and Teaching (CIELT). In November 2012, the USM Board of Regents approved the CIELT to secure and expand USM’s leadership position in course redesign and other innovative teaching models. The Center will be housed in the USM Office of Academic Affairs and serve as the focal point for the System’s efforts to incorporate technology and new learning methods into academic courses. The Center will examine student performance resulting from various teaching methods and serve as a resource for the development of best practices in higher education. The president of U Baltimore, who is credited with many accomplishments during his years of leadership, has announced that he will step down at the end of this academic year. After a year away, he will teach in the law school. Source of quotations: Maryland System web site. Q: When did you start writing poems? A: With the exception of poems that I was required to write for school assignments, I did not write ANY poetry until I was 38 years old (21 years ago). I am a psychology professor and a practicing clinical psychologist; I had published many professional journal articles and chapters in my 20’s and 30’s. Twenty-one years ago, I published an essay about my father in The Baltimore Evening Sun newspaper (my first non-scholarly publication). The essay was well-received, so I tried to write another—the second one on the topic of entitlement. The essay was terrible—long-winded, self-righteous, and boring. It occurred to me, however, that I could say everything I wanted to say in about 50 words if I structured it properly. So, I rewrote the essay as a poem. University of Maryland Francis King Carey School of Law Dean Haddon has decided to step down next year to concentrate more on fundraising and writing a book. A fourth-generation lawyer, she was appointed in 2009 as Dean of the University of Maryland School of Law (it was founded in 1816). An Associate Professor in the Department of Humanities at UMES, she is the 2012 winner of The Jean Feldman Poetry Prize from the Washington Writers’ Publishing House for Umberto’s Night. She has contributed poems to The Faculty Voice. Some of her poetry is at http://www.beltwaypoetry.com/hellen2/. On Prof. Oppenheimer’s web site, he is pictured in a “The Greatest Dad” t-shirt. Well, what has the greatest dad brought forth? Joshua Oppenheimer, who has just made the front page of the Washington Post “Style” section with an article by critic Ann Hornaday praising Joshua’s film, “The Act of Killing,” about the mass murder of Chinese in Indonesia. So keep in mind that a professor does more than teach, research, write, and do service; he helps to sustain generations of the human animal. And in this issue, he contributes a poem on retirement..
Until early June, the President of Saint Mary’s College of Maryland was Joseph R. Urgo. A Brown Ph.D., he served for three years. He had asked the Board of Trustees not to renew his contract, which expired in June. The college is widely known for its commitment to the liberal arts leading to creativity and critical thinking. But for some reason, possibly admission processing or outreach problems, the number of incoming freshmen/women this year fell far short of the expected 470, thus cutting resources by about 5%. Was President Urgo’s leadership faulty, or did the under-enrollment not rise to his level of attention until it was too late? When Salinger, a high-profile documentary about one of America’s most enigmatic literary figures, opened in early September, audiences saw interviews with some of the country’s most prominent literati and J.D. Salinger fans. Among them are playwright John Guare, novelists E.L. Doctorow and Tom Wolfe, actors Philip Seymour Hoffman, Ed Norton, John Cusak and Danny DeVito, and Dr. John Wenke, an English professor at Salisbury University. Unlike some of the others, Wenke, author of J.D. Salinger, A Study of the Short Fiction, is making his film debut. “I was contacted by (director/producer) Shane Salerno’s office about five years ago,” Wenke said. “I was flown to New York and was interviewed on camera for about two hours.” Apparently Salerno liked what he heard. About eight months later, the SU professor was flown to L.A., met by a limo and taken to another two-hour filming. The American literature teacher and scholar recently was notified that he made the final cut of the movie, no mean feat since, according to Salerno, some 200 people were interviewed for the project. (Credit: Jason Rhodes) So we have another faculty film star! This enormously accomplished scholar is now Distinguished University Professor of Mathematics and Physics in the Institute for Physical Sciences and Technology. His Ph.D. is from UMCP, and that’s where his career has been. He is perhaps best known to the general public for coining the mathematical term “chaos” with T.Y. Li in a 1975 paper entitled “Period Three Implies Chaos.” “Chaos” is a mathematical concept in non-linear dynamics for systems that vary according to precise deterministic laws but appear to behave in random fashion. And there is more! Professor Yorke has just received the campus’s President’s Medal. The 2013 recipients include Gregory R. Hancock, Department of Human Development and Quantitative Methodology; Doron Levy, Department of Mathematics and Center for Scientific Computation and Math Modeling; Margaret M. Pearson, Department of Government and Politics; Michel Wedel, Robert H. Smith School of Business; and Min Wu, Department of Electrical and Computer Engineering and Institute for Advanced Computer Studies. The Kirwan Faculty Research and Scholarship Price was awarded to Nathan A. Fox, Department of Human Development and Quantitative Methodology. From Afro (14 November 2012) and the Baltimore Sun (9 June 2013) we learn that Morgan State University professor Manoj Kumar Jha, who directs the university’s Center for Advanced Transportation and Infrastructure Engineering Research, was indicted by a grand jury last November on charges of wire fraud, mail fraud and falsification of records. He is accused of obtaining $200,000 through fraud—and attempting to obtain $500,000 more—from NSF. And now he is accused of paying out DoD grant money to students in exchange for kickbacks. Jha is said to have handed stipend checks to students at the university, but he demanded they pay part of the money. The students were not asked to do any research in return! The tragic stories are at http://www.afroamericannewspapers.com/sections/news/inauguration-2013/story.htm?storyid=76709 and http://www.baltimoresun.com/news/maryland/crime/blog/bs-md-morgan-kickbacks-20130607,0,3327392.story#ixzz2VqBsezfr. It’s a sad tale from a great institution. This entry was posted in Features, People/Places and tagged people, places. Bookmark the permalink.